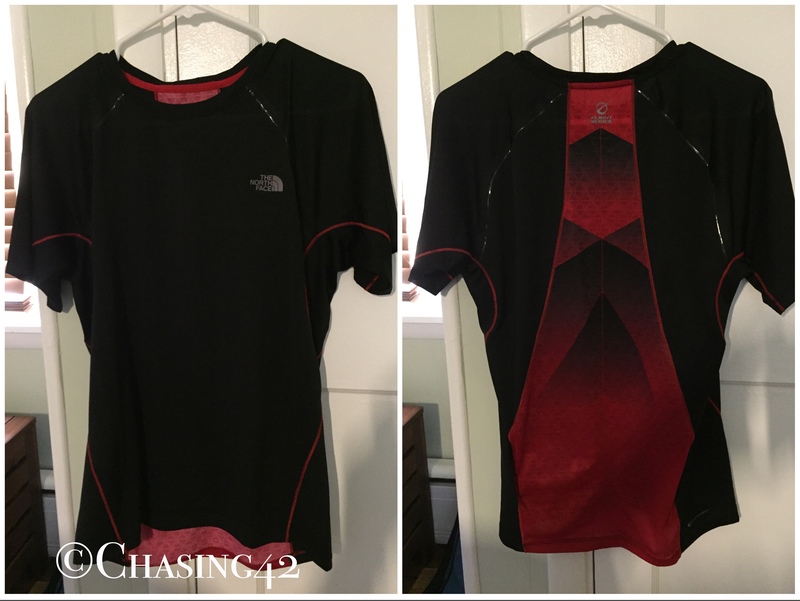 I just recently added a few new pieces of running apparel to my already sizable collection, and I wanted to briefly share my excitement! I’ve collected quite a few tech shirts over the years, courtesy of races and other sales. As a result, I’ve always been hesitant to splurge on new apparel, especially when it’s at the higher end of the price spectrum. 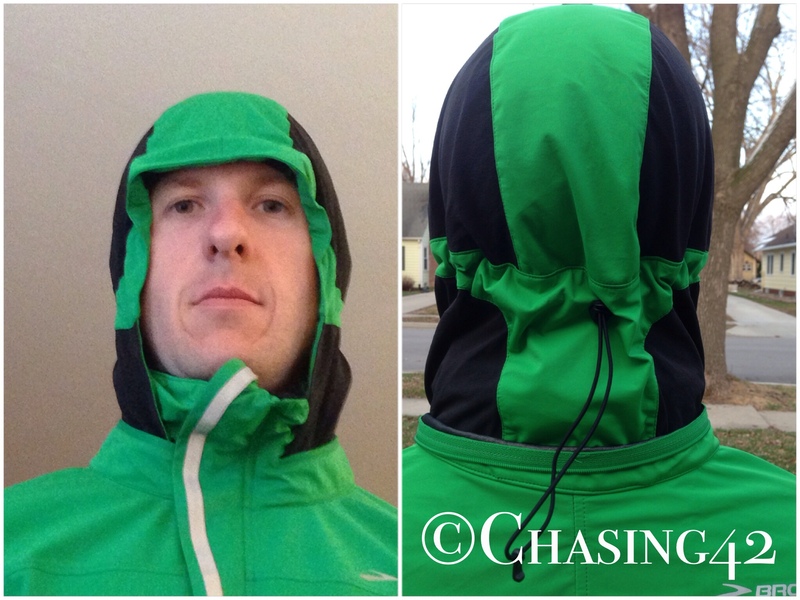 However, I’ve been curious about the Northface “Better Than Naked” line of running apparel for quite some time. All of the reviews I’ve read have been rather spectacular, and I’ve been itching to slip into the shirt and shorts and give them a spin myself. I finally received that opportunity, and I couldn’t be more happy with the decision! Everyone sweats when they run, and plenty of people talk about being heavy sweaters when they run. I’m not simply being dramatic when I say that I sweat profusely simply thinking about running, so adequate wicking properties have always been a challenge. The incredible heat and humidity of my first Delaware summer has put that fact to the test even more, and I’ve come back from just about every run this summer soaked and ready to ring myself out. The Northface Better Than Naked line of apparel claims to excel and wicking and drying where other companies have come up short. Thanks to its Polartec PowerDry fabric, wicking is supposed to happen instantly, leaving you consistently dry and comfortable with minimal lag time. In practice, I’m overjoyed to report that their claims are quite accurate! I purchased the Short Sleeve and the Split Short 3.5 and put them through the paces this past weekend, and they passed with flying colors. 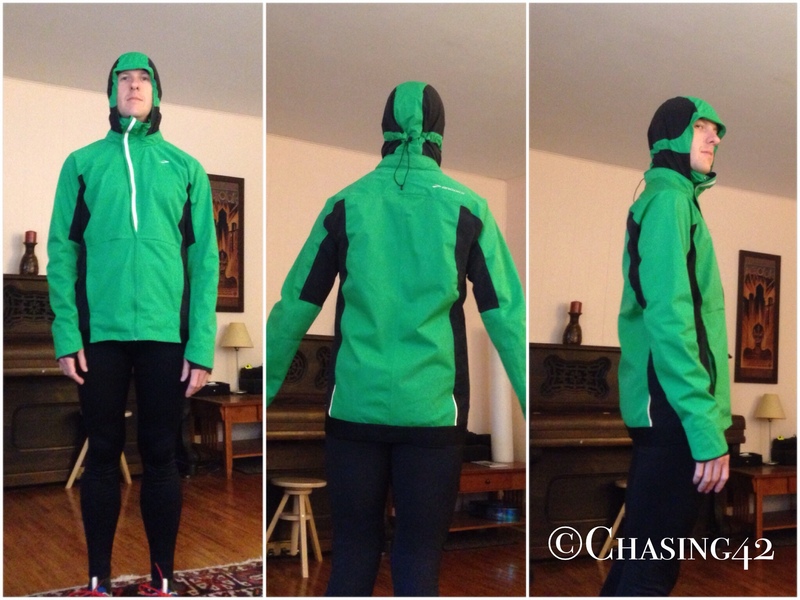 Ventilation was outstanding, wicking excelled to the point of me staying almost entirely dry, even after 3 hours of running, and the fit and comfort of both pieces meant I hardly realized I was wearing them. The biggest complement you can give a piece of running apparel is the assertion that you don’t even notice it, and in that sense, both pieces truly were “Better Than Naked”. The shorts have two elastic mesh pockets on either side in the back, and a center zippered pocket as well, meaning you can carry quite a few items without needing to worry about a belt of some sort. This is a fantastic feature, and one missing from many of the shorts I currently own. 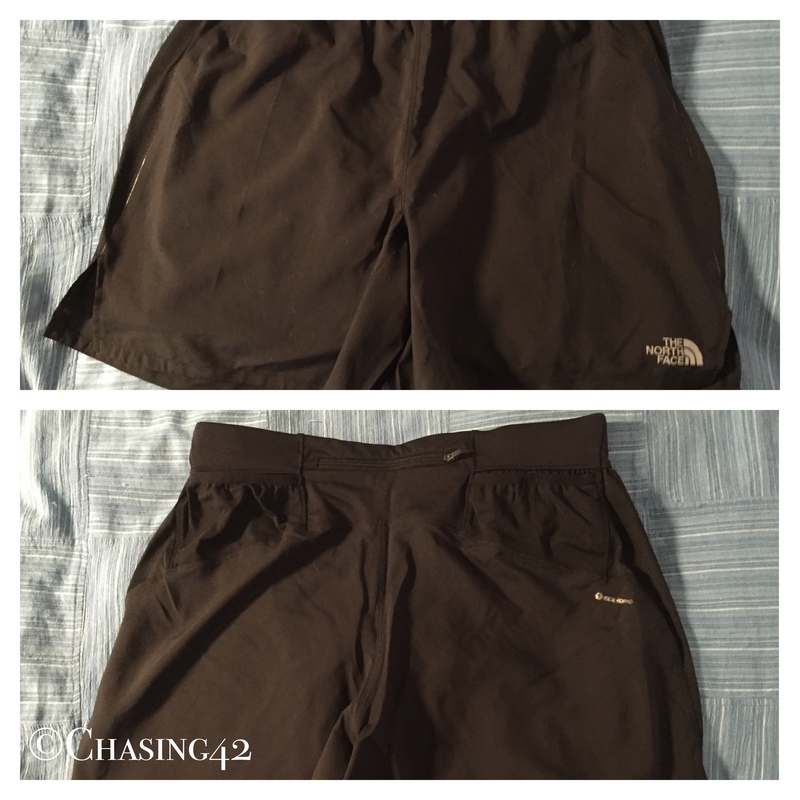 I also purchased the Long Haul shorts, which are designed for trail and ultra-running. They have even more pockets in the back and sides, and even include pockets on the included compression boxer brief liners, which is an added bonus. 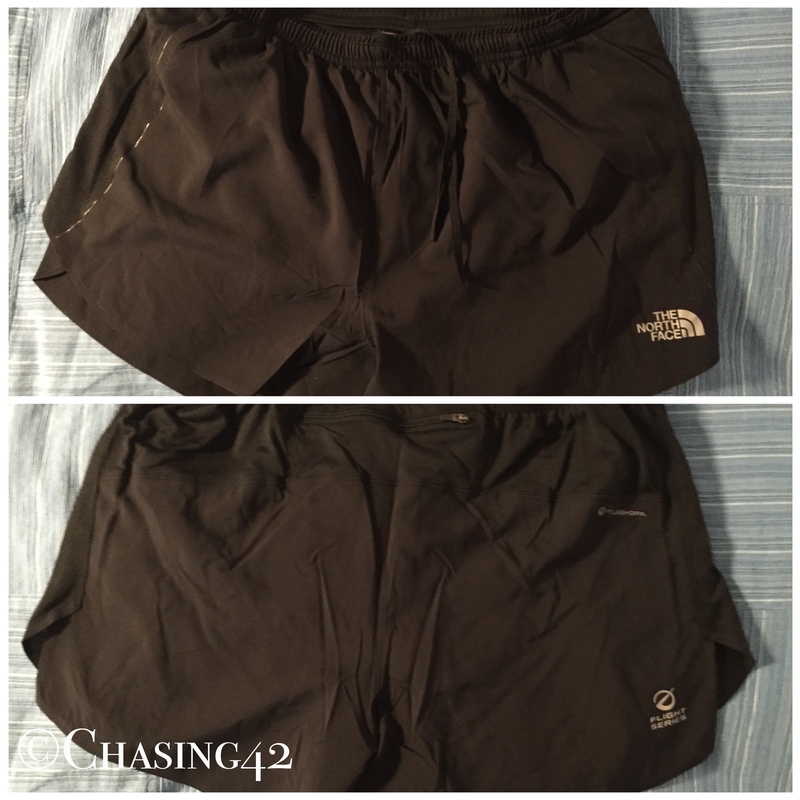 There’s a great review of both pairs of shorts over at ultrarunnerpodcast as well, so you can definitely check that out for more details. Sizing was fairly accurate for all three pieces, and I had no complaints in that area. I tend to like my running shirts a bit more form-fitting (why give the sweat more opportunity to run down my body, right? ), and the small fit my 5″11″ 165 frame quite well. The medium shorts were a perfect fit for my 32″ waist as well, providing a loose fit without being too baggy. If you are someone who likes your shirts a bit bigger, you might want to bump up a size just to be on the safe side. I had wanted to try the singlet as well, but it was sold out when I went to order it, so I’ll have to give that a whirl in the future. If you are in the market for a few go-to pieces, I highly suggest checking out the Northface Better Than Naked line! It’s no secret that I’m a bit of a gear head, and love all of the running technology available to us today. As a faithful Garmin user, I’ve had little experience with other GPS watches. 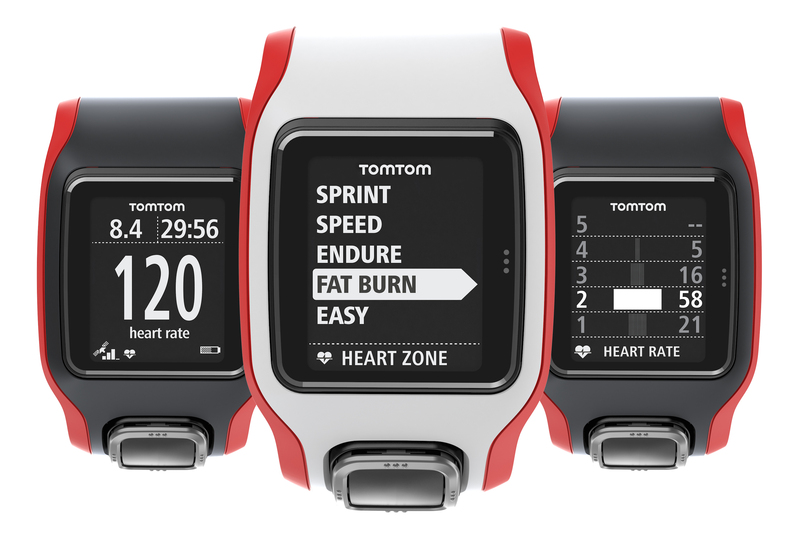 Thus, when a friend purchased the Tom Tom Cardio, I was eager to hear his thoughts on the watch. Below is his review. Four years ago I got a surprise package in the mail from my parents which turned out to be the Garmin Forerunner 405. It was my first GPS watch, and suddenly my running life was changed forever. Gone were the days of consistent “free running” as I loved being able to track my distance and pace. As I’m sure many can relate, it could be both exciting and disappointing, depending on the run. This past winter, though, I could tell the Forerunner was on its last legs and, with training for my first marathon around the corner, I thought it might be time for an upgrade. After scouring through online and friends’ reviews of GPS watches, I ultimately decided on the TomTom Cardio. What drew me to the TomTom watch was, first and foremost, that it had an accurate GPS tracker, which is obviously most important to all runners. What enamored me about it further was the built-in Heart-Rate monitor, which was reportedly very accurate. I must say, jumping four years in watches was a big difference. Imagine going from one of those original Blackberry phones to an iPhone. Similar qualities, but big differences. The Forerunner had some features I didn’t use, specifically the GPS tracker which could (I think) tell you where you actually were. I would imagine you would use this for Geocaching. It also had that pesky touch bezel (more on that later). The Cardio has lots of features I assure you that I will probably never touch. It also has some that I might use someday down the line. But let’s start with the basics. Setting up the watch to run is vastly simpler. I simply have to touch right twice on the touch pad thing just below the screen. That sets up the GPS tracker and the heart-rate monitor. Picking up signals is hit or miss. I’ve literally ranged from picking up a signal in 10 seconds to 10 minutes. I haven’t figured out a reason why it takes so long yet, since most of my runs leave from the same place. I’ve simply learned to fire the watch up when I decide to go run, as opposed to when I’m walking out the door. The screen while running is also extremely customizable, which is great. It gives you one set of information large on the screen, and two smaller. Personally, I have time as my big one, overall pace and distance as my small ones. Other options include current pace, overall heart-rate, and current heart-rate. You can mix and match any of these features, which is pretty neat. To pause the watch, you have to click/push left on the touch pad. The default setting is to hold it down for a second or two, so you prevent bumping it and accidentally pausing your workout without knowing it. The pause screen only shows heart rate, which I would like to try and change. But at the same time, it’s nice to see what my heart-rate is if I have to stop at an intersection. To end your workout, just touch left again. Super simple. Another aspect I love about the watch is that it doesn’t beep at every mile. I know some runners enjoy their watch letting them know each mile has passed. Me? Not so much. If you like knowing every mile that you hit, though, you can turn this feature on. It’s called the lap feature, and it’s also customizable. So if you’d rather have your watch beep every 5k, for example, you could set that instead. Another setting is the tempo feature, which I haven’t tried out. 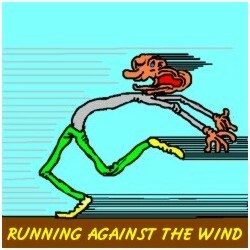 Let’s say you want to run your next 5k at a 7 minute per mile pace, you can set the Cardio to that setting. If you deviate too much from that pace, the watch will beep at you until you get back to that pace. This could be a great feature, especially if you’re big into tempo runs. I’m not a big tempo run person, so I rarely venture into this area of the watch. Yet another feature (so many things on the watch!) is that of the race setting. Let’s say you have a time goal of running a 42 flat in a 10k. You can set the Cardio to “pace” you to the finish. This is similar to the tempo feature. This will tell you your pace, distance run, and distance to the finish. It also has a finish line on the watch as you get closer. Finally, I want to delve into the heart-rate tracker. I mentioned this was what put the watch over the top for me. I wouldn’t say I was ever curious about my heart-rate before, but this watch is slowly changing that. I love that it’s automatic, and takes heart-rate through the wrist, instead of with a strap-on chest piece. Over time, I’ve started to look at my heart-rate more and more, specifically after I run. I don’t train by it, like some people, but I now have a very good idea about what it should be during a run. I’ve found it especially interesting to go back to races, or workouts, on Strava (and yes, that’s a shameless plug for you to follow me) and look at my heart-rate. In areas of the race where I either felt great, or not-so-great, I can easily see that reflected in my heart-rate. So far I like the Cardio a lot. It’s very comfortable to wear, easy to use, and it doesn’t freak out if I randomly touch it or get it sweaty, like the touch bezel did. All in all, I would give it a 4.5/5. It doesn’t get a perfect 5 for two reasons. It can be a bit frustrating when the GPS doesn’t pick up right away, and because it is much more than I thought I would ever pay for a running accessory (and that’s entirely because of the heart-rate monitor). You can find Ben hitting the roads and trails around Ames when he isn’t jet-setting around the country, trying to convince high school students to attend Iowa State. He is currently training for his first marathon, Grandma’s Marathon in Duluth, on June 20th. My love for trail-running has grown considerably in the last two years, to the point where I’d prefer to be out on the trails for a majority of my weekly miles. Unfortunately, my options are a bit limited in the center of Iowa, so I work with what I have and enjoy the few very nice trails that I can access without hopping in the car for too long. As I’ve spent more and more time running down all variety of single-track, rail-bed, and other outdoor terrains, the need for gaiters has increased considerably. Nothing will stop you in your tracks quicker than a few tiny rocks grinding into your heel or bouncing between your toes. The temptation is to always let them be and hope they’ll work themselves out, but I know from experience that giving them more time to grind up your feet is never smart! This need made the Inov-8 Debrisoc 38 an exciting option, as they combine CoolMax moisture-wicking socks with a built-in gaiter that will fit around any pair of shoes you throw at them. After taking them for a spin a few times, they certainly have their place in my arsenal, but probably won’t become my all-around go-to gaiter choice. Let me provide a few more details, and you can decide for yourself if the DebriSoc is right for you! The socks offer a snug fit, without constricting my circulation in any way. The CoolMax means they aren’t going to be the thickest socks, so you probably wouldn’t be slipping them on for a winter run, unless you were planning to wear an additional pair of socks underneath. The padded heal offers some additional comfort, although I’ve noticed that most running socks seem to claim a “padded heel” and I rarely notice any significant differences. They have a flat seam toe join, so you aren’t going to pick up any blisters from the seams rubbing on your toes. This is especially important since your feet may move around a bit more in your shoes when you are out on the trails. They pull on pretty easily, but the added elastic cuff to account for the built-in gaiter means they are a bit harder to get on initially. The gaiter does add some additional snugness around the ankle, but nothing noticeable once you’ve been wearing them for a while. The gaiter is sewn into the sock around the ankle, so it works best to flip it up while you are putting the sock itself on. 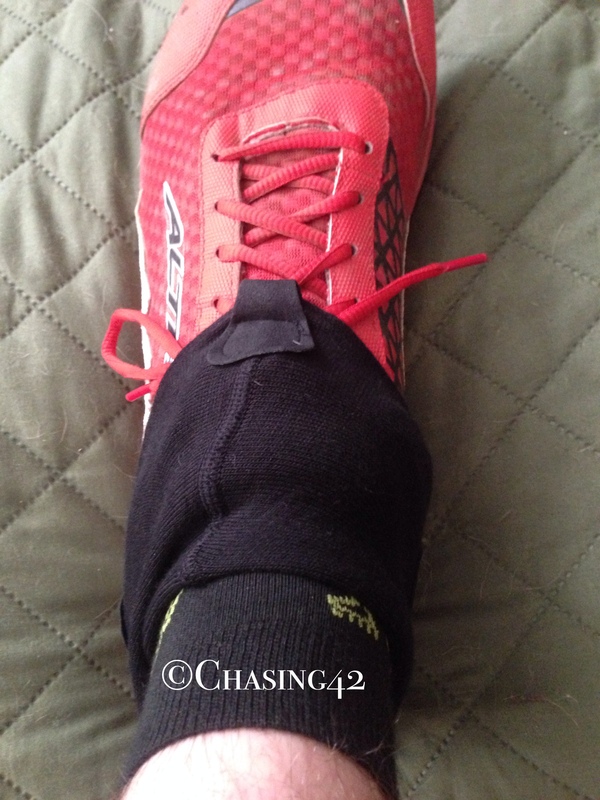 Once you have the sock on, and have put on your shoe, you can adjust the gaiter to find the right fit. The integrated stretch apron can be easily pulled down over the laces, and a small metal hook is looped under one of your laces to hold the apron in place. There is enough stretch in the apron that it seems snug and will stay in place without much worry. On each side of the gaiter portion of the DebriSoc is a velcro loop that you can open and close. You use these loops to attach a custom band around the bottom of the heel, and back up to the other side. 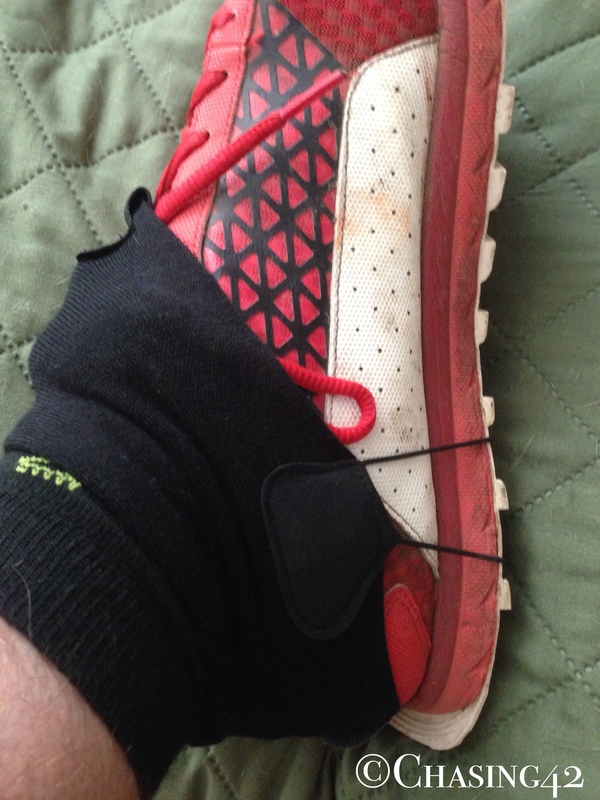 This band is basically a heavy rubber band that you can thread through the tread of your shoe so that it works into the heel and doesn’t disrupt the tread itself. The band is heavy enough and should last for a while, and the velcro on the velcro loops keeps the band in place very well. Just don’t misplace this band (although you can order replacements pretty easily). Additional stretch material then gets pulled down over the heel to keep the gaiter in place in the back. My go-to trail-running shoe is the Altra Lone Peak 1.5, which has a built-in velcro patch on the heel for gaiters, and the DebriSocs attack nicely to this velcro area. The elastic seems fairly strong, but I can imagine that you may encounter problems with the gaiter riding up off the heel as they stretch out if you don’t have anything keeping them in place. It would be easy enough to buy some cut-to-size velcro strips to add to the gaiters, however, which would prevent sliding. In terms of their intended purpose, they do an excellent job of keeping out all types of trail debris and I was never left wondering if a rogue rock found its way into my shoe. Overall, the most appealing feature of the DebriSoc is the convenience of having your gaiters built into the sock. When you are heading out the door for a quick run, or packing for a race, it’s nice to have one less item to find. However, I prefer running in SmartWool socks for shorter runs, and regularly slip on knee-high compression socks for longer runs (even on the trails, where the added coverage is an additional barrier from ticks and other bugs). The socks are functional and will get the job done, but aren’t quite as comfortable and durable as I would like in an everyday sock. So, the DebriSoc 38 may not be my new go-to gaiter solution, but they do offer an excellent option for a shorter trail run, and are really easy to grab on your way out the door for a run. At around $20, the price is right as well. You probably aren’t going to wear them more than twice without washing them, which no doubt means they will wear out faster, but they are still a nice trail-running tool to have at your disposal! It’s been a bit of a whirlwind spring! My training has been going really well, and my mileage has stayed close to my self-assigned schedule. I’ve kept my mileage up, and added in some additional strength and conditioning activity that will hopefully come in hand later this year. However, I have yet to toe the line at a race. For whatever reason, my schedule just worked out this way, and it seems like an eternity ago that I lined up in Arizona. This is my round about way of saying that I’m itching to get back to “racing”! As I watched the live coverage of the Boston Marathon yesterday and yelled at the computer as Meb made the final turn down Boylston, I realized just how much energy I get from the race environment. I never go out to win a race, but there is just something about being surrounded by other like-minded runners, all setting off on an adventure, that brings me a sense of joy that not much else can equal. This coming weekend, I’m heading down to Independence, KS for the Flatrock 101K and to kick off my spring race season, and I couldn’t be more excited. However, a few other thoughts have been rumbling around in my head, probably because I’ve had the time to let them rumble! Wind Training– I’ve gotten in some good hill training, but more of my resistance work seems to have come from the wind this spring. Winter and “spring” in Iowa leaves much to be desired, but there’s something to be said for gutting out an 8:00 pace into a 40mph headwind. I’m not going to be dealing with any major elevation changes in the coming months, but I’m confident that I’m ready for much of what will come my way. At least I get to turn around at some point, right? 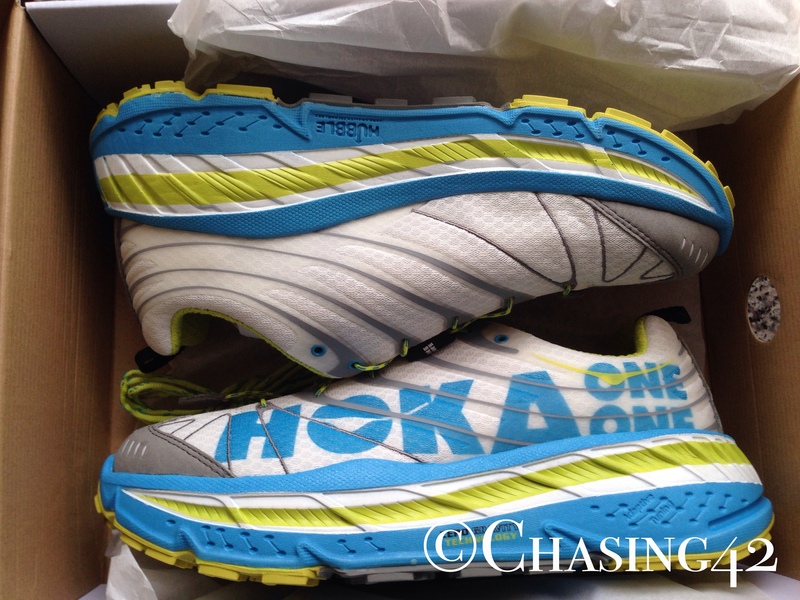 Hoka One One Decisions– I picked up the Stinson Evo Trail shoes a few months ago and I have over 100 miles on them at this point. I bought them with ultras in mind, and trail ultras at that. They are certainly the most comfortable shoes I’ve worn, but I’m still not entirely sold on them for my long distance endeavors. I’m not entirely sure, but I think the fact that I’ve been running in much lighter shoes (Montrail Fluid Flex, Mizuno Wave Elixir, Sayonora) has left the Hokas feeling a bit heavy. My legs have felt more sluggish than normal on some longer runs. However, I know it’s a different story when you are out on the trail and have been at it for hours upon hours. I’m fairly certain I’ll bust them out this weekend, but timing will be key. When will I unleash them? Gear Considerations– I’m always thinking about the best gear choices for the run, and this race is no different. My biggest decision will be whether or not to wear my Salomon race vest, or stick with the more minimal Ultraspire Quantum race belt and a couple of handheld bottles. The course is obviously supported so I’ll have access to water and nutrition choices. However, the additional options that the vest provides might be worth it. I’ll give my Petzl Nao headlamp some work as well, which should make for some interesting trail miles! Trail Trepidations– I live in the middle of Iowa. It’s been a long winter and there aren’t many accessible trails to begin with around here. This means I’ve spent far less time on the trails than I would have liked coming into this race. On top of this, the course description makes it sound as though this will be a rather rocky and technical course. My road miles will keep my legs going, but I’m going to have to snap into trail navigation mode pretty quickly to avoid spending some quality time on the ground! 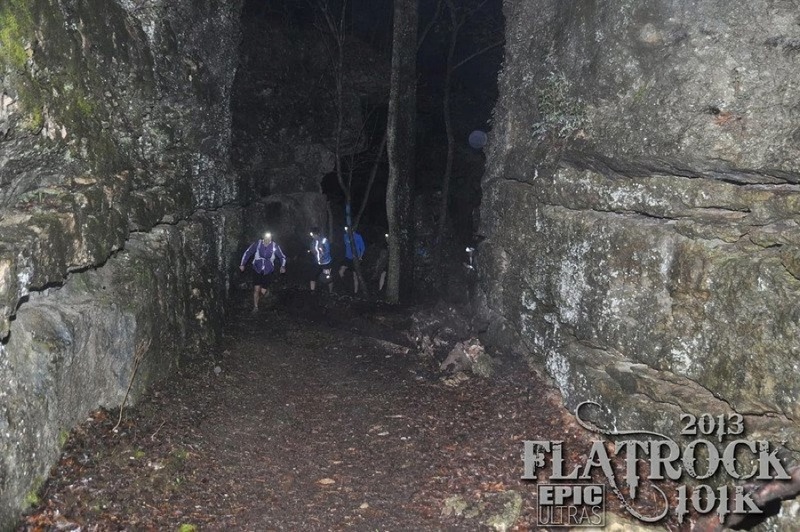 This is the second running of the Flatrock 101K. The winning time last year was 12:07, which is not terribly fast. It’s a small field, and I’m sure it’s not drawing a huge crop of elite runners. However, this time still leaves me wondering just how long I’m going to be out there! No matter how long it takes, I’m wicked excited, and looking forward to having a great time doing what I love, and soaking up all of the energy that comes with a race environment. I’ve fought the urge to publish this post for quite some time. I don’t think I have a problem. I just like variety in my life, and get tired of the same footwear options. There’s nothing wrong with that, right? I know I’m not the only one with a ridiculous number of shoes in the closet, but mine is the only closet I see on a regular basis. In truth, “closet” really means “spread out over three closets and the basement”. However, I should at least attempt to explain myself before opening up my closet to you. 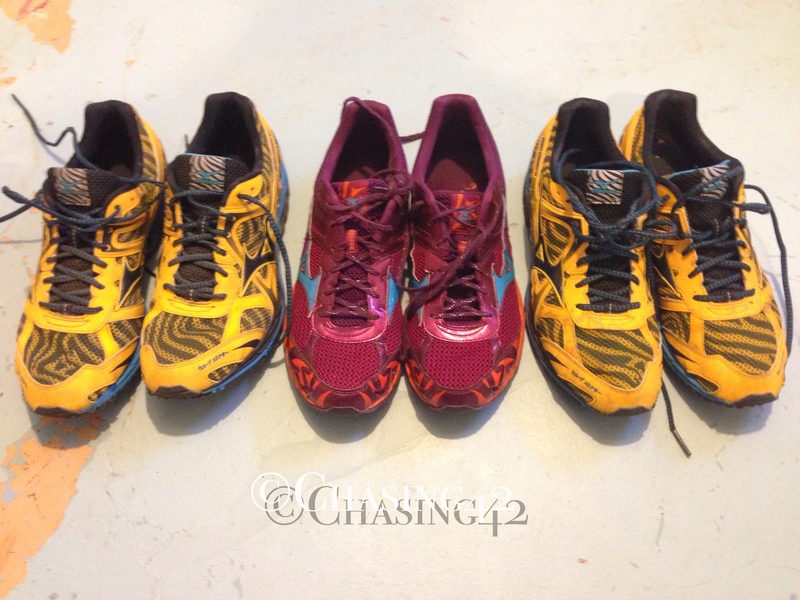 After all, shoes are an intimate part of a runner’s world. We spend countless hours researching the right brand, fit, size, width, lacing system, foot bed, weather resistance, stack height, and toe box size. 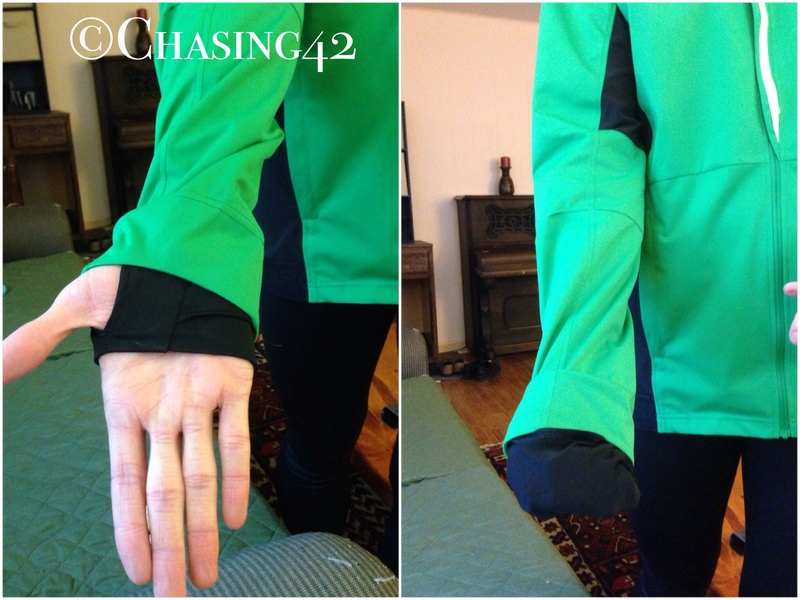 Ok, maybe not EVERY runner does this, but I can’t be the only one, right? Tell me that you are out there and understand. Tell me that you are with me, and lace up with me in solidarity. Tell me that you understand the following VERY logical observations, which have led to my present condition. 1. Rotating shoes strengthens the muscles in your foot in different ways. It is also proven to reduce injury. 2. 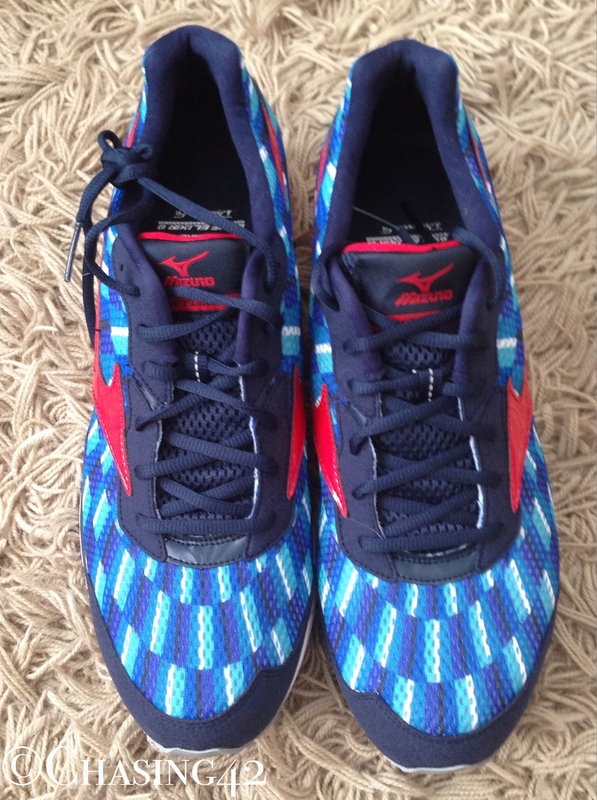 Shoes used for speed work are just lighter and provide a different feel than heavier trainers for long-distance runs. 3. The weather is clearly unpredictable, so having an extra pair in case your main shoes are still soaking wet just makes sense. 4. Most running shoes are still in really good shape, even after 400 or 500 miles, so tossing them just seems silly. 5. Old running shoes are great for yard work, or the occasional mud run that you know will result in sending them straight to the garbage afterwards. 6. Some running shoes happen to make solid casual footwear choices for everyday wear. There’s nothing wrong with that! 7. After 400 or 500 miles, you get attached to a pair of shoes. They are like the old hoodie you’ve had for 10 years. They deserve a proper burial. As you can see, the research and logic behind my…ummm…arsenal…are quite sound! So, without further adieu, I shall take you on a tour of my shoes. Comments on many of the shoes in these photos are including in the “What’s On My Feet” section as well. The overall evolution of my running shoes can be captured in 5 stages. Stage 1- Brand New: It’s common to have a reserve pair ready to go. 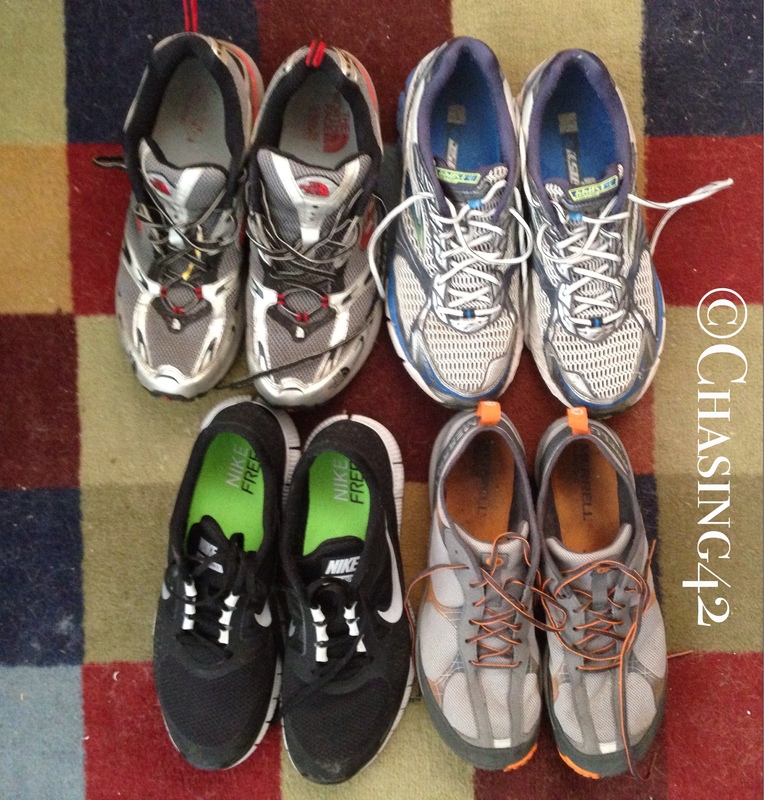 Stage 2- In Use: At the moment, I happen to have 6 different pairs of shoes in rotation. I promise they all serve a purpose! Stage 3- Casual Wear: Running shoes, whether new or retired, can make great everyday shoes as well. Stage 4- Yard work: Old running shoes are perfect for getting things done outside. It’s like putting a horse out to pasture gracefully, right? Stage 5- Purgatory: They’ve outlived their usefulness but I just can’t seem to bury them once and for all. I might need them for something! There you have it. 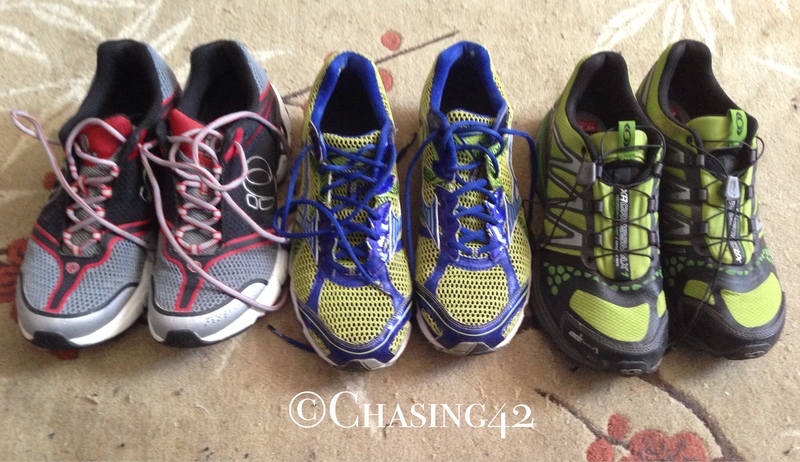 The five stages of running shoe life, unmasked before your blog-viewing eyes. Ironically, I’ve been on a minimalist life kick lately, and have been striving to get rid of as many unnecessary possessions in my life as possible. Somehow, my mind hasn’t quit acclimated to that idea with regard to my running shoes. I probably shouldn’t even mention that my inventory of casual and dress shoes MAY just need their own post altogether. 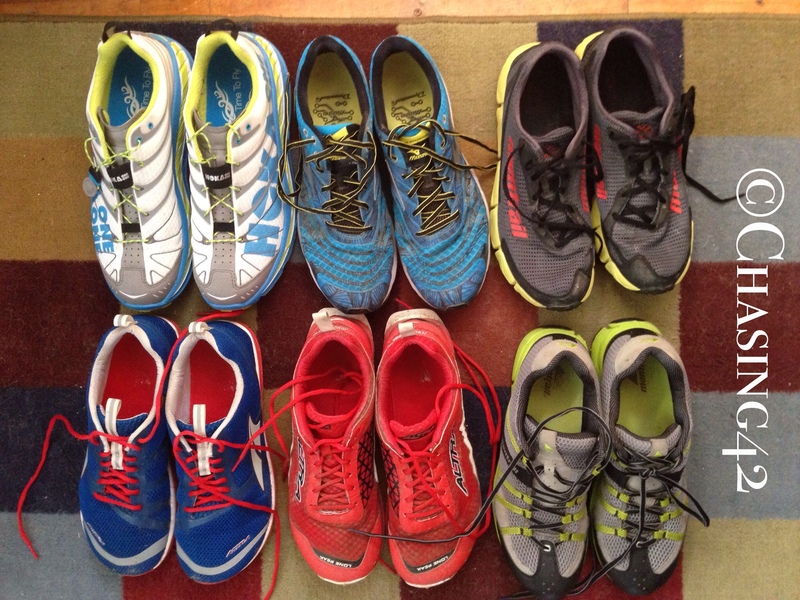 So what does your running shoe closet(s) look like? Do you regularly purge? Do you rotate shoes or stick to your trusty trainers? The confessional booth is open!